This has been a family favorite for years! If you get the chance, ask for the story behind the "mouse special." Every time my parents are in town they request pizza and a couple pitchers at Sammy's. Such a great tme! 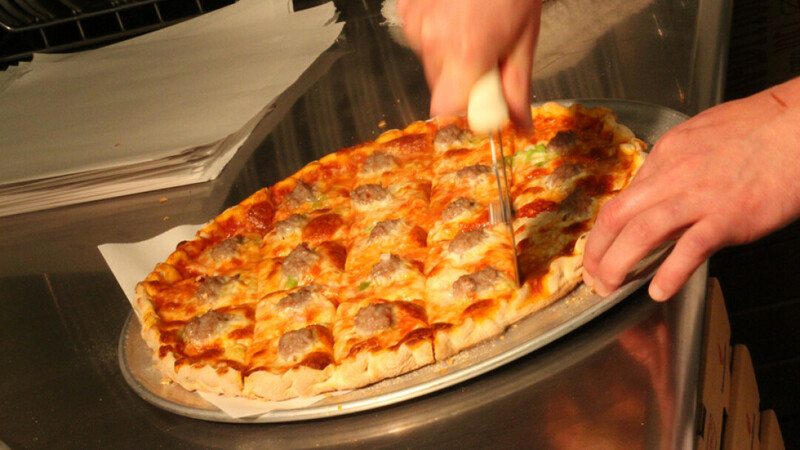 Sammy's Pizza is one of our family favorites - great thin crust - love it! As I work downtown we always went to Sammy's for the Lunch Buffet. We miss that down here...then the just kept the London Square location. UGH! Lunch buffet price sky rocketed and pizza is always very lack luster! Salad bar is the only thing we look forward to, but is it worth 10 BUCKS? I miss Sammy's when it was family Friendly and family AFFORTABLE! Staff could also use a class in smiling and customer service.